Make the switch to the organic lifestyle! It’s decided then! We’re going organic in 2017 because there’s nothing like taking care of the ourselves, our health and our planet. So let’s have a real look at the items that we can put on the table, bathroom and medicine cabinet and do our part in keeping the world that little bit greener, shall we? 1. Going organic on your plate! Organic goods are evermore on the our minds so why not use that new year’s spring in your step to break into a running habit with achievable resolutions by opting for a more organic diet! Say goodbye to chemical fertilizers and pesticides and do your bit for your body and the environment. Instead, invest in products with bio labeling, such as the renowned French AB (or Agriculture Biologique) label. We have dedicated an entire section on our site to the organic diet. Here, you can find all our cereals, biscuits, confectionery, pasta and oils so you can make your meals more wholesome, balanced and organic. Check out “Les Recettes de Céliane” (i.e. Recipes by Céliane, another excellent French foodie brand) which offer a great selection of organic and non-gluten products. While we’re at it why not take a peek at our gluten-free pasta made from organically-farmed whole-grain rice. And how about a lovely cuppa tea? We have organic teas, infusions and herbal teasto ensure you get the best flavour products without having to worry about chemical treatment. Herbal tea to help digestion and sleep based on verbena leaves. Natural tea from organic agriculture. Tea time biscuits for a delicious snack during the day. Gluten and lactose free. Blend of 4 high-quality organic oils to meet the daily nutritional needs of young and active people. With carefully selected ingredients, labels that you can trust and products in harmony with your skin and the environment, organic cosmetics have tick all the boxes and even celebrities can’t stop talking about them! So why not put a dash of organic in your own beauty routine? 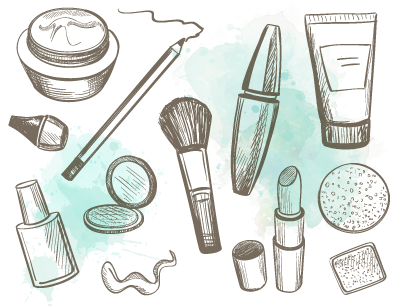 Organic cosmetics are unique in that they contain no preservatives (most notably parabens), allergens, synthetic products, added fragrances or colouring. Instead, they draw on natural ingredients such as waxes, floral waters, vegetable oils and essential oils. • Body care: There is a whole range of organic cosmetics available such as deodorants, oils, body lotions, shower gels, moisturising balms and even organic sun creams. To ease organic products into your bathroom kit, why not start with Cattier Family Foaming Gel? This family size organic body cleanser gently cleans the hair and body and can be used by all the family! • Face care: Find all our lotions, creams, serums, masks and make up removers and all your favourite essentials in our organic ranges. Although it was quite tricky to find up until a few years ago, even makeup brands have made the switch so you can find the right mascara, foundation or mattifying powder. • Hair care: A special mention for shampoos, conditioners, detangling balms and hair masks. •For hands and feet: Yes, you can even find organic nail polish! Protective care with shea butter and bee wax for your lip care. With a sweet orange taste to strength and fortify the teeth. Vitamin-rich detox mask for all skin types. Between the cold, viruses and extreme tiredness, winter can really put our immune system and defenses to the test. 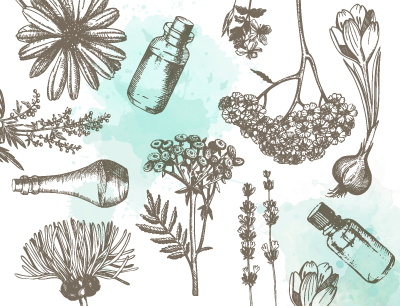 To feel naturally healthy and combat the ills of winter (sore throat, runny nose, trouble breathing), there is so much to discover when it comes to the benefits of plants and organic essential oils. Make yourself an aromatherapy and essential oil kit with your season essentials (i.e. peppermint, thyme, Niaouli etc.) and keep a Climarome spray at close hand and take on winter with organic plant-based sprays and syrups. Among some of these plants you can find Thyme (Thymus vulgaris) to help your body’s natural defenses and also Scotch pine roots (Pinus sylvestris) to improve your respiratory comfort. And for your the little daily troubles (like joint issues, knocks, other small injuries etc.) we can turn to natural solutions such as organic essential oils and other types organic plant-based soothing gels including Eucalyptus (Eucalyptus globulus) which plays a role in muscle and joint health. So how about it then, you ready to put a little organic style in your life? Pocket sized inhalant stick that helps to decongest blocked up noses and airways. spray with essential oils of thyme, propolis and honey for alleviates sore throat. Complement food Bio of Puressentiel clears the respiratory tract. Essential oils known for their warming and soothing properties. 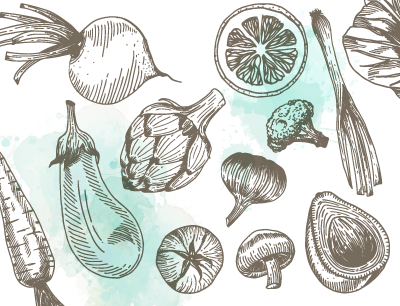 An organic label is a lot more than just some logo on a tube of face cream. Behind the scenes, this label is backed by a entire administration and detailed catalogue of organisations. With the Cosmebio label, for example, there are two types of certification for products: ‘Bio’ and ‘Eco’, and each has its own set of specifications. •“Bio”: A minimum of 95% of the ingredients must be natural or of natural origin. Furthermore, 95% of vegetal ingredients must be sourced from organic agriculture. Lastly 10% of the finished product must be sourced from organic farming. • “Eco”: A minimum of 95% of the ingredients must be natural or of natural origin while 50% of vegetal ingredients must be sourced from organic agriculture. Here, only 5% of the finished product must be sourced from organic farming. So if you ever have a doubt about an organic cosmetic product, remember to always take a closer look at the packaging and read the ingredients carefully.